Hollywood celebrities are losing their minds. The election of Donald Trump has elites in the entertainment industry unhinged. 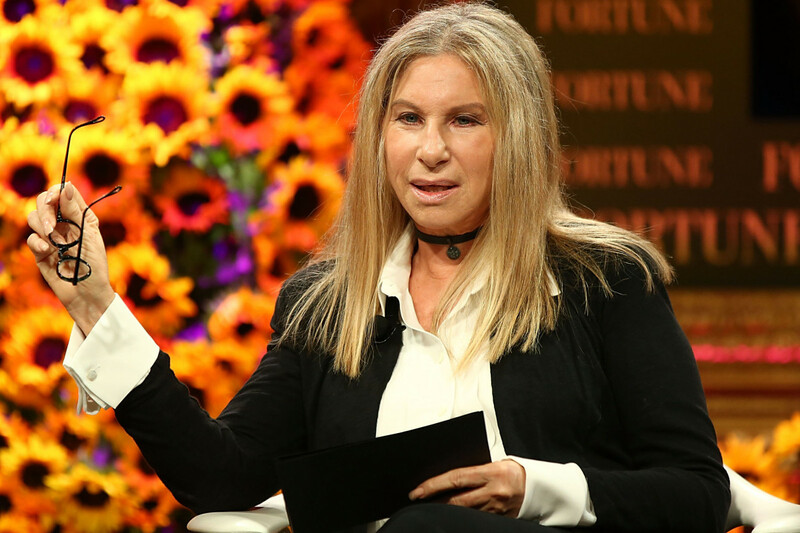 Now performer Barbra Streisand proves she’s truly gone off the deep end with one attack on Trump. Trump’s victory in November 2016 broke the Democratic Party mentally. They abandoned whatever principles they had left and because #TheResistence. They might as well call themselves the anti-Trump party. Even if he does something Democrats like, they oppose it. Democrats are now the party of socialism and tantrums and identity politics. Everything they do is built around creating chaos. And celebrities play a huge part in that. Late-nite comics serve as the frontline for the Democratic Party. They parrot the talking points of the politicians. Musicians infuse leftist messaging into their songs. Writers and directors create leftist propaganda films. And there is almost no dissension. The latest culture war revolves around Trump’s Supreme Court nominee, Brett Kavanaugh. The left openly said they would do everything in their power to oppose him. And this was immediately after his nomination. First they tried to bury him over buying baseball tickets. Then they tried to attack his impeccable record. But they finally brought out the big guns. Leftists orchestrated a massive smear campaign painting Kavanaugh as a sexual predator and violent drunk. They planned to stop Kavanaugh’s appointment in hopes of reclaiming the Senate so they can block all of Trump’s picks. Groups funded by George Soros even pushed to get the confirmation vote delayed. Celebrities far and wide joined in on the smear. They’ve tried to portray Christine Blasey Ford, Kavanaugh’s accuser, as a saint. But her story has massive holes. All of the witnesses she named deny her claims, including her life-long best friend. That hasn’t stopped the left. They’ve rallied around her and made her a feminist icon. Her GoFundMe page eclipsed over $1 million. The left’s chaos surrounding Kavanaugh is all about stopping Trump. They don’t want him to appoint another conservative justice. And they’re perfectly happy to attack him and his nominees with full force. Actress Barbra Streisand is eager to play her part in #TheResistance. Her lunacy over Trump cratered to new depths. Streisand now believes Trump is evil because he never owned a dog. It’s scary to think what goes through the mind of these deranged leftists. This isn’t the first time Streisand unloaded her crazy on Trump. She once said he was holding illegal alien children hostage. There’s no cost to this madness. The left can say all of the disgusting things they want. Because they know the media have their backs. Being a leftist means never having to say you’re sorry. But now they don’t even feel shame. The only thing they do feel is pain at the ballot box. Republican voters need to end the madness by making sure these maniacs never get too much power.